Under Ohio law, a custodial parent wishing to relocate to a difference state must receive consent from the other parent or the court. As a result of this requirement, you cannot just pick up and relocate to another state with your child. There are requirements, as required by Ohio law, that you must meet before the move may occur or the court may intervene and order you and your child back to Ohio. A parent who wishes to relocate must file a notice of intent to relocate with the court. The notice must be filed in the same court where the divorce was granted. The notice must include the address you are relocating to, unless there is a court order prohibiting the disclosure of this information. Once the notice is filed, the court will send the notice to the other parent involved. Once the other parent receives the notice, he may file a motion with the court objecting to the move. If the stationary parent files an objection after receiving notice of the relocation, the court will schedule a hearing. The court, in its discretion, may also order a hearing on its own. During the hearing, you have the burden of proving to the court why the move is in the best interests of the child. The court will consider various factors when deciding whether to allow you to relocate, even through the other parent has objected. Basically, the court will determine what is in the best interests of the child. Factors the court will take into consideration include the reason for the move, distance of the move, extended family's involvement in the child's life, non-moving parent's relationship with the child, and ability of both parents to communicate with each other. If the court allows the relocation to take place, the court will revise the parenting plan. In revising the plan, the court will create an appropriate parenting time schedule to take effect once the move happens; the original parenting plan is no longer appropriate as a result of the relocation. If the court does not allow the relocation to take place and you still relocate, the court may place custody of the child with the non-custodial parent or hold you in contempt. 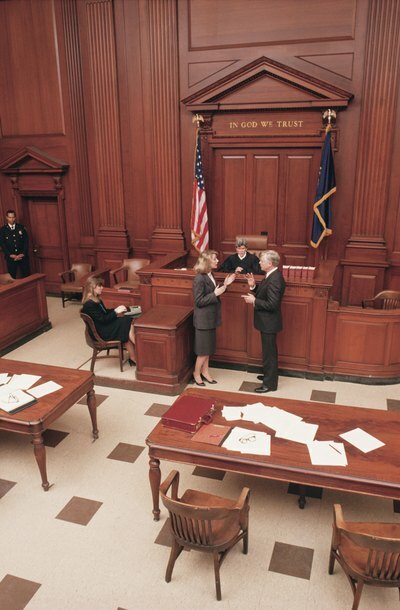 Can a Judge Keep a Child From Leaving the State After a Divorce in Colorado? Colorado law grants significant leeway to a divorced parent who wants to leave the state with the children. Under Colorado law, a parent with primary custody of minor children generally can move out of state with them. The non-custodial parent must take action to prevent the primary caretaker from leaving the state with the children. This involves filing a motion with the court seeking an order preventing removal of the children from Colorado. In many other states, an opposite process exists: the parent who wants to leave a state with the children must obtain court approval. With Temporary Custody of a Minor in Georgia Can I Leave the State and Still Have Custody? If you have a temporary child custody order, the court may or may not permit you to leave the state of Georgia with your child. However, if you can and do leave with your child, the terms of your custody order would most likely remain unchanged -- at least until such time as a permanent order supersedes it. Provided the existence of certain conditions, a parent can be successful in reversing a sole custody order in the state of Missouri. An important first step in the process is understanding the difference between legal and physical custody, and that modifications of existing arrangements require a showing of new facts coming to light after the original order. Notice must be provided to the other parent, and if the parties cannot agree on a parenting plan, the judge will rule in favor of the modification if it is in the best interest of the child.